What's shakin' ..or movin' at HREC? Associated with the site is a GPS (Global Positioning System) unit that is located about 200 feet above the seismograph. The GPS unit monitors any change in the location (movement) of that unit (North American Tectonic Plate) as compared to the GPS unit located on the Farallon Islands (Pacific Tectonic Plate). 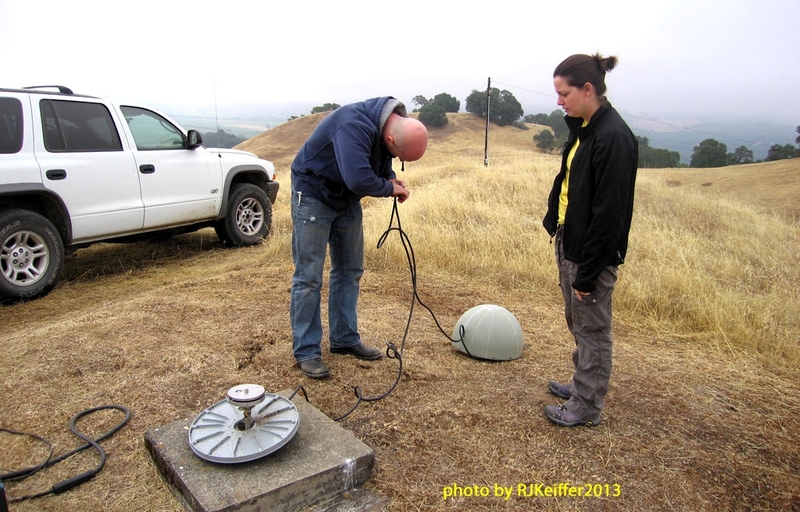 Here you see UCB Seismological Laboratory techs Sarah Snyder and Joshua Miller repairing the worn antennae cable between the GPS unit and the antennae.